In honor of Earth Day, we'd like to share a part of our business and the packaging industry that we feel quite passionate about. Sustainable packaging and manufacturing is no longer seen as a trend but as a requirement for many businesses. A recent study by DuPont revealed that in 10 years sustainable packaging will be a number one priority for companies over cost. At Weber we have made several changes around our plant in the last couple of years to make our facility greener, our manufacturing process more sustainable, and have sought out a product line that meets the environmental requirements of our customers. 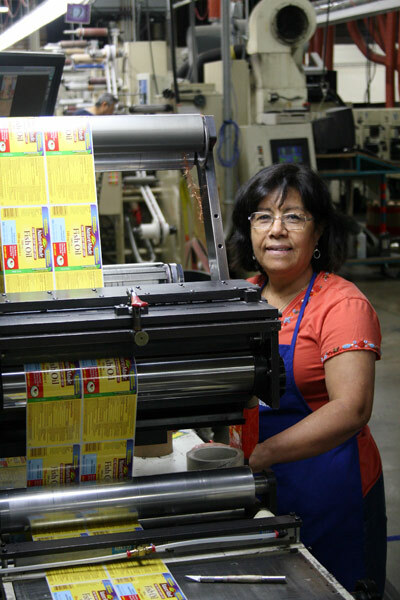 The biggest impact we've made is in our label manufacturing process. There is a lot of waste involved in printing labels, from the set-up label material generated during the printing set up process to the scrap trim material that's thrown out in the end. The biggest progress the print industry has made in sustainability is the re-purposing of label production scrap for fuel pellets. In 2012 Weber started collecting this paper waste for Pellet America, a recycling company, to turn into fuel pellets. These fuel pellets are then burned at electrical generation plants. They are a cleaner source of fuel than coal and less costly, especially to the environment. This has been a huge success as we have kept 99% of our waste out of the landfills. Thin label materials use less raw materials but still have the same packaging effect as thicker ones. Less material also means less packaging materials and lighter containers for shipping. Additionally, you're getting more labels per roll so you won't have down time from switching rolls on your label application equipment. Using a thinner label material is both a green option and a more efficient option for your labeling process. Not all labels are recycle-friendly. The plastic clamshell or bottle that you use is probably recyclable, but once a label is applied to it, the container may be spoiled. This doesn't mean it can't be recycled, it just means the plastic that is recovered will not meet the standards of food grade packaging. If a label can be easily washed off of a food package, then the plastic can be recycled for food packaging again. If the label doesn't wash off cleanly, residue from the label degrades the plastic and it cannot be used for food packaging. Select a material that has met the standards of the Association of Postconsumer Plastic Recyclers (APR). These labels have been tested and cleanly wash off the plastic material in the recycling process leaving the plastic pure enough to be used again. This material option is meant for packaging that does not get recycled. If the container is meant to be composted, this label material will break down in a land fill along with the container. This material cannot be recycled so make sure if you select this type of material that you also select a container that is compostable and that your consumers know this. If you're looking for more information on Earth Day tips, check out this blog post or contact a Weber Green Label Expert to talk about sustainable labeling options for your product. This week we noticed a trend in stories about food packaging and labels. 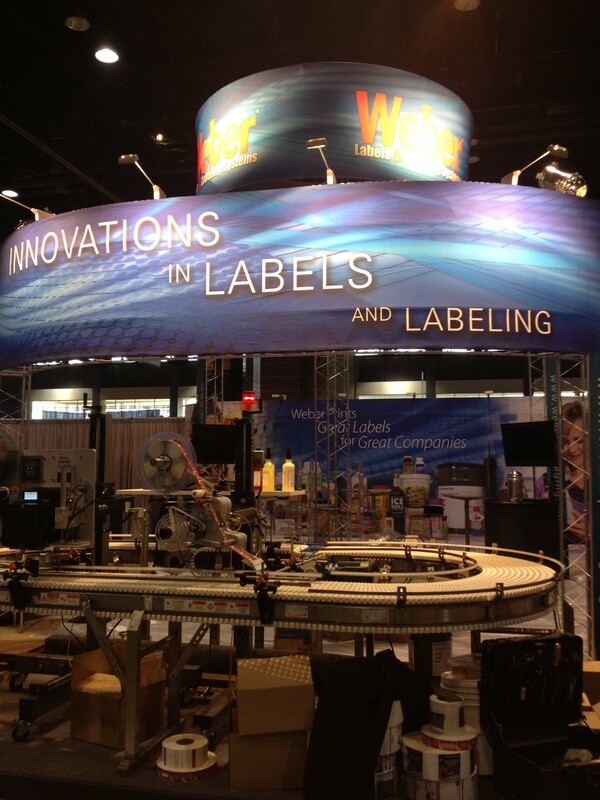 At this year's Snaxpo, the hot topic for snack makers was labeling. Whether changes are driven by regulations or the private sector, snack makers are feeling the demands to label products with information about gluten or GMOs. What else would you like to see labeled on food packaging? Welcome to the third and final day of WestPack 2013. 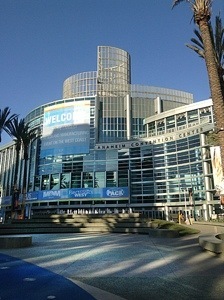 We have really enjoyed our time here in Anaheim, CA. It's been wonderful to meet so many great West Coast businesses and catch up with our friends and customers who are located out here. We've learned a lot about the latest trends in packaging and are looking forward to helping some of the folks that we met become future Weber customers. Pack Expo 2012 is Underway! Pack Expo 2012 goes through Wednesday October 31st at McCormick Place in Chicago, IL. This is the country's largest packaging trade show with over 1800 exhibits and more than 46,000 buyers. Not only is it big in attendance, but it's big in size too with over 1.1 million square feet of exhibit space, so be sure to wear comfortable shoes! We can't wait to show you the equipment up and running. Take a look at our expo page for more information about our products and what you'll see at the show. We hope to see you in booth S2440! And remember to check our Twitter for live updates from the show and our Facebook for pictures from our booth and of other booths. Top Labels and Packaging Tweets of the Week! It's been a busy week here at Weber as we prepare for next week's set up of our Pack Expo booth. Don't forget to contact me to get a free pass to the show! Pack Expo is working hard to promote green packaging solutions. At the show, companies that have green products or solutions will have the Pack Expo Green logo at their booth. Stop by our booth, S2440, to learn about our green label materials, our green manufacturing practices and our energy efficient equipment options. The show is also addressing the environmental impact of having a large trade show. Top Labels and Packaging Tweets of the Week - Happy Manufacturing Day! Here are a collection of Tweets from @WeberPackaging and @WeberGoLabel that highlight the important news of the week for our industry and information that could help our customers. A new material by Avery Dennison will make it easier to recycle bottles with pressure sensitive labels. This adhesive will make the separation of the label from the bottle process during recycling easier. This will conserve resources and reduce landfill waste. Mike Schedler of the National Association for PET Container Resources was quoted in the article saying, "The popularity of pressure-sensitive labels makes it imperative that they be successfully removed as part of the standard PET reclamation process to increase their recyclability." Many go-label customers are small businesses that order our shipping accessories (labels, printers ribbons) or label their products with the bottle-matic or fast-tagger. This article is a helpful guide that focuses on how small businesses can benefit from utilizing Facebook. Social media can be used to connect with customers, increase brand awareness and also research products or suppliers for your business.